The Liberty Transit Co. that served Wheeling, West Virginia from 1918 to 1923 used this LIBERTY LINE WHARFBOAT. This packet company was formed in Wheeling and in operation in 1918. Liberty Transit Co. used names that would sell, or be well recognized by their perspective clients. They used names very popular at the time. Contemporary WW I Generals and the name “Liberty” was a very recognizable boat name since the mid nineteenth century. Liberty Transit Co., Liberty Line advertised Steamer Service to Ohio and Kanawha River Points and service to Pittsburgh, Charleston and Cincinnati. 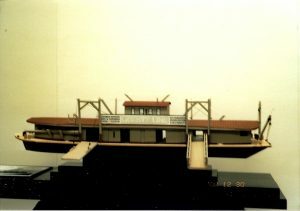 Liberty Transit Co. purchased a hull from the boat junk yard at Glenwood, Pennsylvania in 1919 and converted it into a wharfboat with a new warehouse structure in place. 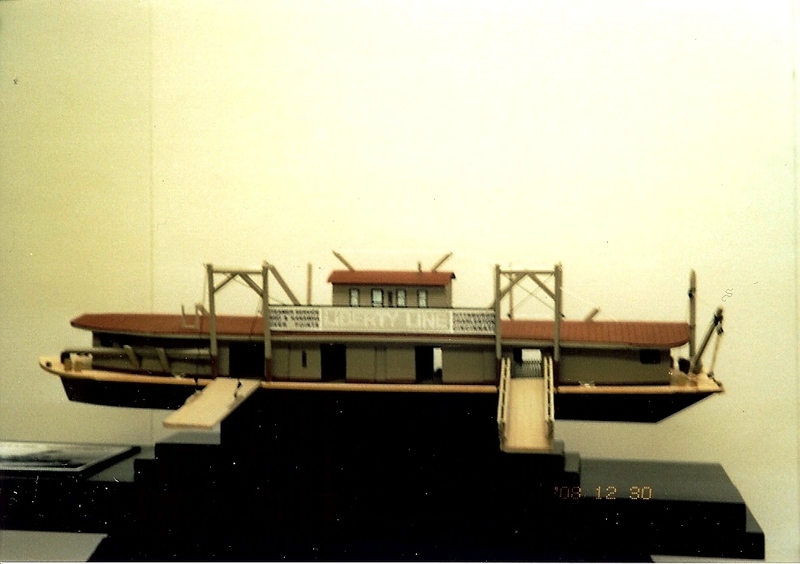 The hull came from the stern-wheel towboat Alice Brown built at Pittsburgh, Pennsylvania in 1871. 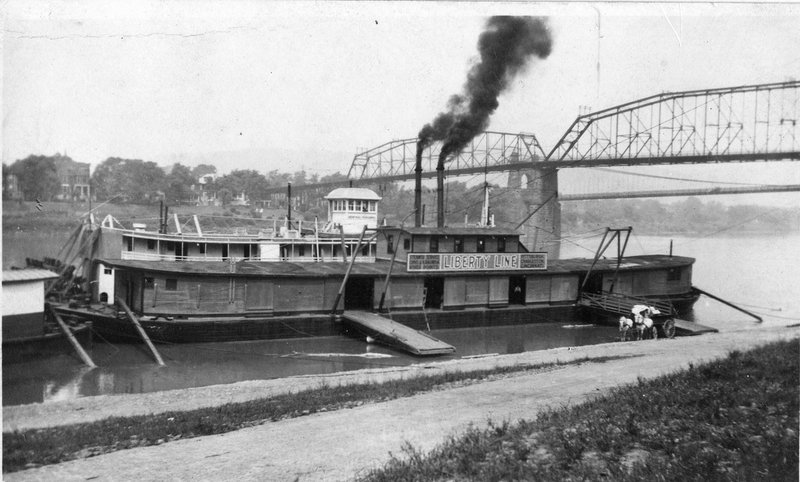 The Alice Brown ran in the Pittsburgh River Combine from early 1900 until 1915 when she was retired. Liberty Transit Co. used this wharfboat at Wheeling from 1918 into 1923. 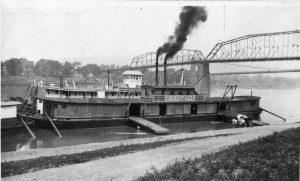 The wharfboat sat immediately adjacent to (North of) the Crockard & Booth Steamboat Agents wharfboat at the Wheeling, West Virginia wharf. This is a picture of the Liberty Line wharfboat moored at Wheeling’s wharf with the packet General Pershing. 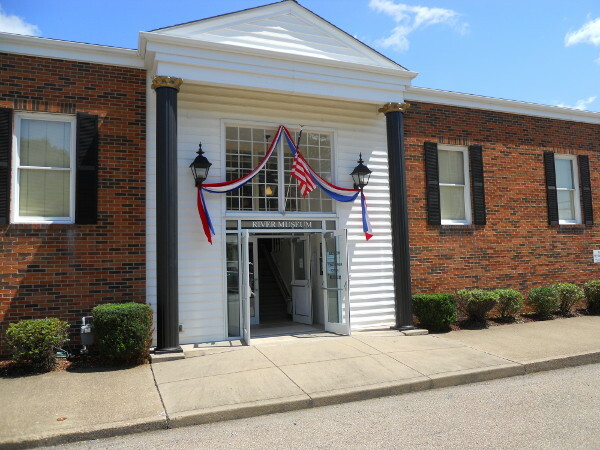 In late 1922, the Liberty Line wharfboat was in the hands of Al Willis, wharfboat agent at Martins Ferry, Ohio where Willis used it as a wharfboat.